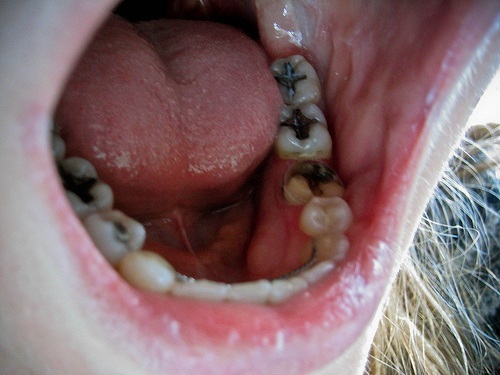 Are “Silver” Mercury Amalgam Fillings Really More Durable than “White” Composite Fillings? We know from research, as well as clinical experience, that amalgam has in fact caused many a problem in the long term for people who, for whatever reason, are poor excretors of mercury. The metal, continually released as vapor from the fillings, makes its way into bodily tissues, including the brain. As it accumulates, the individual develops symptoms that may manifest as CFS, MCS, fibromyalgia or an autoimmune disorder, to name a few of the most common chronic illnesses that have been linked to mercury. In my office, I see people every day who are either in need of healing because of the effects of dental mercury or who are healing now that we’ve safely removed the fillings and replaced them with biocompatible materials. But what about the idea that amalgams last longer and are therefore better, more economical? They certainly make economic sense for the dentist, as 1) they’re more fully paid for by insurance and 2) they’re less technique-sensitive, requiring less skill and time to place, meaning the dentist can fit more patients into his or her work day. Back in the early days of composites, it was, in fact, true that amalgam lasted longer – not that this was necessarily a good thing for the health of the whole body. But are new generation materials any better? A Dutch study recently published in the Journal of Dental Research sheds some light on the issue, looking at the durability of fillings over a span of 12 years. Nearly 2000 large, class-II restorations were evaluated. (Class II restorations are those on the proximal sides of molars and premolars – that is, toward the sides of the teeth that touch each other.) While amalgam showed better survival on three-surface restorations in patients at a higher than average risk of caries (cavities), overall, composite fared better. 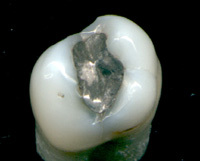 Moreover, a smaller percentage of composites than amalgams failed: just 15% of composites versus 25% of amalgams. If similar or better results are reproduced by other researchers, we wonder how much longer the claim of better durability will last – and what claim could take its place to justify the continued practice of putting poison in people’s mouths. Comments Off on Are “Silver” Mercury Amalgam Fillings Really More Durable than “White” Composite Fillings?